In spite of several reviews around the internet based on mis-information by salesmen trying for an up-sale, I really believe that the Brother LB6800PRW is identical to the very popular Brother SE400 except for the Project Runway branding. 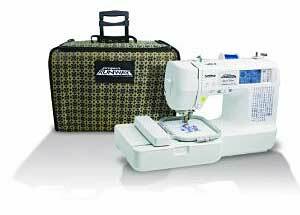 The only difference between the two combination embroidery and sewing machines is that the Brother LB6800PRW comes with a rolling tote bag and has the Project Runway logo on the front of the machine. And, of course, the price. The price difference which used to be more than $100 has narrowed considerably this year to less than $50. So, first, are the two machines really the same? And, second, why would you want to pay more for the LB6800PRW? Why Am I So Sure The LB6800PRW Is The Same Machine As The SE400? When I said that the two machines are the same, in answer to a question on a review, I stirred up quite a bit of controversy. People had all sorts of misunderstandings of the features and accessories of both machines. Sometimes the descriptions aren’t clear. Some of the confusion came from salesmen. Personally, I never trust a salesman who doesn’t have what I want and is trying to sell me something more expensive instead. So I set out to learn everything I could in order to compare the two machines and share the results of my research with you. I’m sure the Brother LS6800PRW and SE400 are identical machines because . . . I compared the specifications for the SE400 vs the LB6800PRW. The Specifications and the User Manuals from Brother’s website for the two machines are exactly the same. See for yourself: Brother SE400 Specifications and Brother LB6800PRW Specifications. 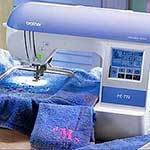 A woman in an embroidery forum reports that she asked Brother Support and they confirmed that the machines are identical. Descriptions on merchant sites and from reliable reviews are the same. Why Buy The Brother LB6800PRW instead of the SE400? 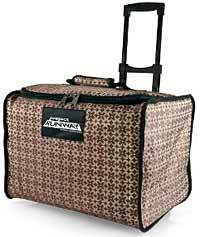 You’re a Project Runway fan and would really enjoy using the official Project Runway sewing and embroidery machine and the very cute PRW rolling tote bag. 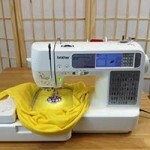 If you take your machine to classes and workshops or over to a friend’s house to sew together, the rolling bag would be very useful and worth having. Sometimes the LB6800PRW is less expensive than the SE400. The Brother SE400 is so popular that Amazon has trouble keeping it in stock. When it goes out of stock, the price can go crazy as Amazon sells it from third-party vendors. And the LB6800PRW can become a much better buy. Always check both current prices before deciding which machine to buy. If you need these embroidery supplies and accessories, the LB6800PRW with the Grand Slam Embroidery package offers incredible value for the money. It’s not always available, so be sure to check. You get 61 mini-king spools, each containing 1,000 meters of 50 wt. Polystar embroidery thread in shiny and vibrant colors. You never need to convert the colors because the Brother color names and numbers are printed on the bottom of each spool. The thread is stored securely in individual compartments in the thread box. 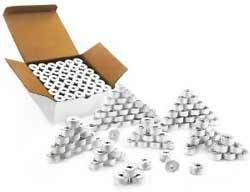 The snap spool design prevents the thread from unraveling and helps you easily find the end of the thread. Click here to see the actual colors. The Grand Slam Embroidery Packages includes 144 pre-wound bobbins, 95 meters each, 100% spun polyester bobbin thread in white color, style M.
This set of three CDs has over 15,000 professionally digitized embroidery designs — from angels to zoo animals, there’s something to suit any project. Just connect the LB6800PRW to your computer with the included USB cable and copy the designs over. You can copy either directly from the CD, or save them on your computer first. There’s no need for a card writer box and extra software because the download software is built into the LB6800PRW and uses the USB port. Works on both Windows and Macintoshes. All the designs are in .pes format which is the preferred format for Brother embroidery machines. 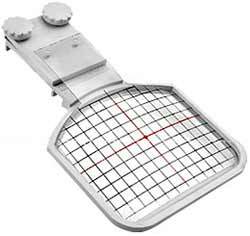 This means that you don’t need embroidery software or an extra step just to convert the format. The designs are ready to go. Stabilizer is essential to support the fabric and hold it in place for embroidery. Without proper support, designs can pucker, pull or snag. Tear & Wash Stabilizer is torn away after the design is stitched and the rest dissolves in the wash, leaving a clean result. These charming little scissors are perfect for fine detail work. The needle-sharp point gets into all those hard-to-reach places. 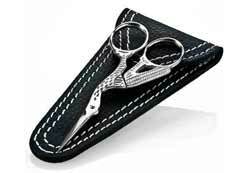 The stork scissors come in a beautiful leather case with a magnetic button for easy closing. When you have a large inventory of embroidery thread from different brands, it can be difficult to know which colors to use for a particular design. 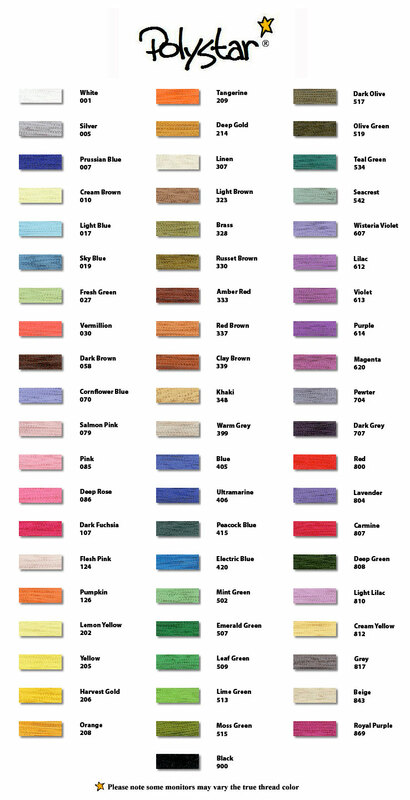 Thread Convert Pro III makes it simply by converting thread colors from fourteen different thread manufacturers. This software converts thread colors to and from Brother or Polystar, Sulky, Madeira, Guterman, Coats & Clark, DMC, Robison Anton, AngelKing, Kingstar, Isacord, Isafil, Marathon, Anchor, and Pearl Yacht. 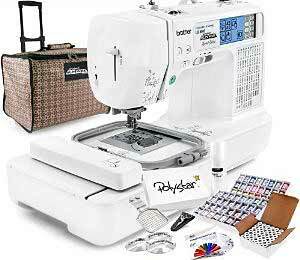 With the Brother LB6800PRW sewing and embroidery machine plus the Grand Slam Embroidery package, you have everything you need to get started embroidering except fabric or your creative project to embroider on. The prices and availability of the Brother SE400, LB6800PRW, and LB6800PRW with Grand Slam Embroidery Package are always changing. So you need to compare all three to find the best value. I almost always find the best price at Amazon, and I’ve always been very happy with their service, so I always look there first. 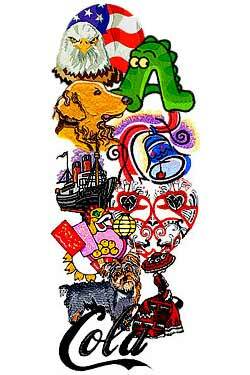 I hope that this extensive information helps you choose the right embroidery machine for you. Have fun with your new hobby. I m from India I want to buy this machine.Can u delivered in India it’s brother 6800prw and in India machine will work or not0? Where do I get that set of 3 CDs with 15000 designs on then for use with my lb6800 as mentioned above?????? Looking to buy the Brother LB8600PRW or the SE400, but would like to know if I should purchase a warranty. I’m wondering your opinion of the Brother® LB-6800THRD that Costco is selling. At $339.00 it’s definitely in my price range but hate to pull the trigger if it’s an inferior product. I have a brother surger and love it. I have always wanted an embroidery machine and since I have had such good luck with their surger I was sure that I would also love their sewing machine. I just got it today and it included the tote bag, but there were no instructions on how to put the rollers on it and it had a lot of separators inside, but I have no idea what they are all for and how to assemble the tote bag. Can you help me please. Hi Diana, it should work with an external thread stand.